Here comes the not so speedy Flash as a Mini Egg Attack mini-figure. 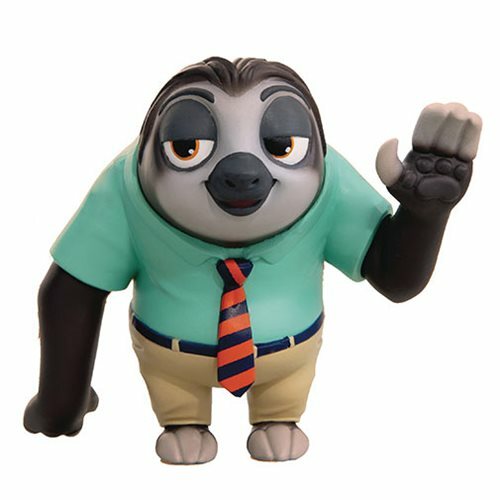 The Disney Zootopia MEA-006 Flash Figure - Previews Exclusive perfectly recreates the style and charm of Flash in the movie. Flash is dressed in his light green shirt and brown pants and he's waving you on down to his window!